SPEED will be monitored along a Girrawheen road for the next year to address traffic concerns. 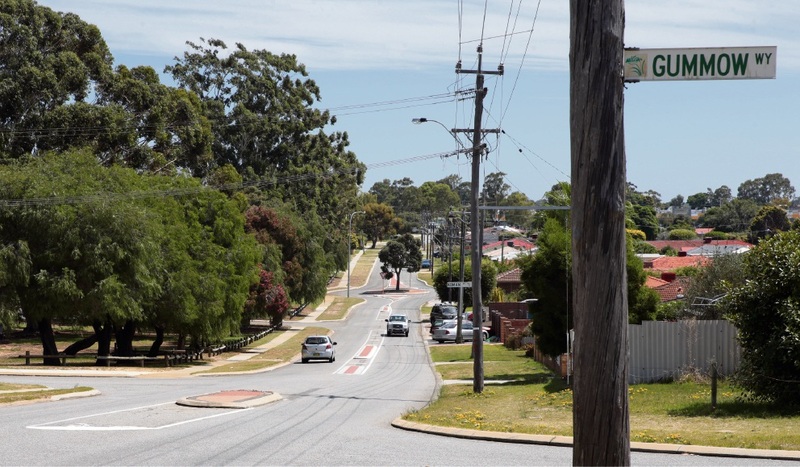 Residents submitted a petition to the Wanneroo City Council last December, requesting installation of speed humps on Hudson Avenue between Gummow Way and Templeton Crescent. Following previous complaints of speeding along the road in 2014-15, the City constructed a 1.4m wide median strip between Koman Way and Templeton Crescent and two sets of speed cushions were built east of this before Girrawheen Avenue. Traffic counts undertaken afterwards showed there had been little change in traffic volumes between 2011 and 2016, and operating speeds had slightly decreased. The City’s report noted the WA Planning Commission approved an amendment last April that allowed for increased residential density in the Girrawheen-Koondoola housing precinct, which would increase traffic volumes in the area but Hudson Avenue was not identified as needing |upgrades to cater for this. It said Main Roads crash statistics showed there was a 25 per reduction in average annual crashes on Hudson Avenue since the median and speed cushions were installed. The area requested for attention scored 24 points under the City’s policy, which required more than 60 to qualify for traffic treatments so the City’s recommendation was not to install speed humps. At the March 7 meeting, Cr Domenic Zappa made an addition to the recommendation, requesting installing a speed advisory trailer on the road at regular intervals within the next 12 months, asking WA Police to undertake speed enforcement and reviewing the need for treatments in two years. He said residents were worried about vehicles speeding on the road and police involvement would be beneficial. The amended motion was passed unanimously.